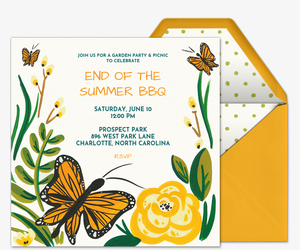 Explore the great outdoors with digital invitations from Evite. Browse our dozens of free and Premium designs to start your adventures, whether you are planning a camping trip, barbecue, picnic, sporting event, pool party, or another outdoor event. No matter what time of year, our handcrafted designs will inspire you and your friends to go outside and explore together. 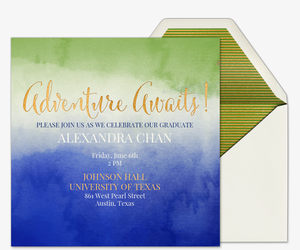 Digital invitations allow you to manage your event with incredible ease. Include a personal host message, manage your guest list, track RSVPs in real time, and post comments and photos, all while staying completely paperless. You can even manage your event details and communicate with guests on the go using our mobile app. Plus, take advantage of our additional features, like a What to Bring tool, polling tool, and shareable invitation link for guests without email addresses. After your event, collect guests photos by encouraging guests to upload party pictures. Your photos and other social interactions will be stored on your invitation long-term, so you can come back to your event’s social feed and relive the memories at any time. 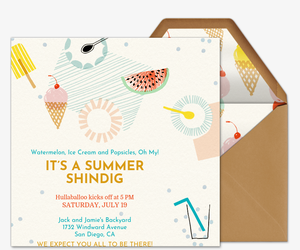 Give your event a special touch by choosing a Premium online invitation. 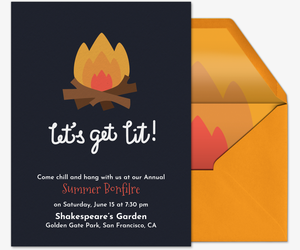 Evite’s ad-free Premium experience offers a similar look and feel to traditional, printed invitations. 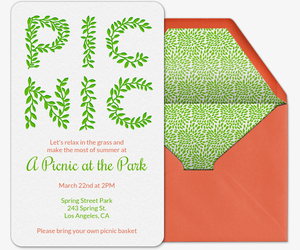 Premium invites come with complementary envelopes, stamps, inserts, animations, and other features. Pricing is determined by the size of your guest list. Get ideas for your summer, fall, and other seasonal outdoor activities at ideas.evite.com. Evite Party Ideas has in-depth planning guides for all types of outdoor parties and trips, as well as recipes, DIYs, and clever entertaining hacks. Still searching for the perfect design? 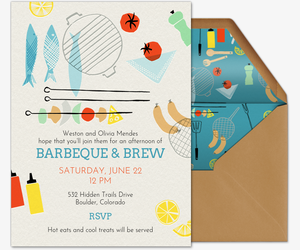 Browse our BBQ invitations, beach party invitations, pool party invitations, trips and getaways invitations, dinner party invitations, and more. Planning your outdoor fun around a certain milestone? 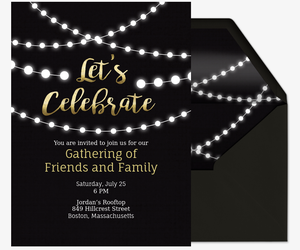 Browse our birthday party invitations or wedding invitations.